More jewels from the 2016 Original Miami Beach Antique Show. Good morning, darlings! I promised you more jewels from the Original Miami Beach Antique show, and I intend to deliver. But first: last night was the 2016 Oscars, and I was asked to join in with INDESIGN.JEWELRY’s fabulous team to further the discussion of all things #OscarJewelry. Check out my article here, and the whole team’s coverage here. 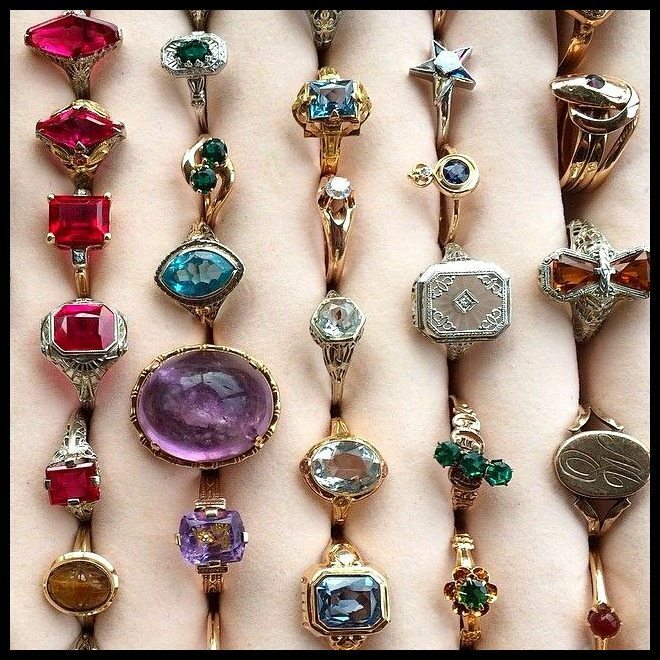 Now: back to the Original Miami Beach Antique Show jewels! If you follow me on Instagram, you may recognize a couple of these finds…but don’t worry, I saved some really good ones just for this post. Starting strong with the most wonderful antique English ruby and diamond double heart ring. From Bell and Bird. I can’t really talk about this one because I love it too much. 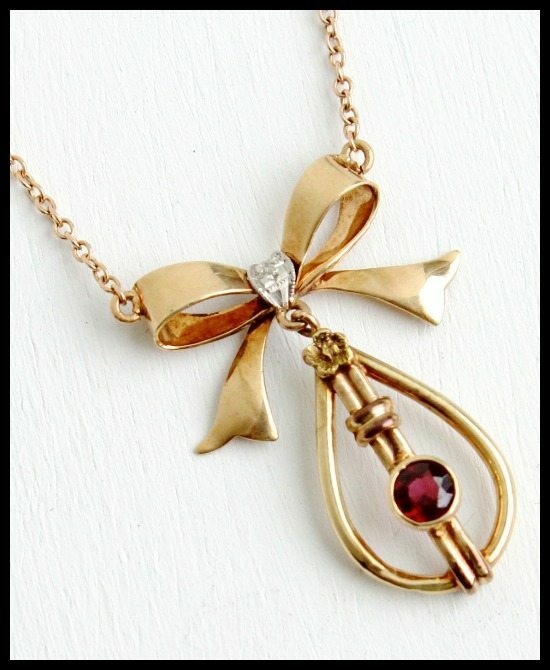 This is one of the loveliest Georgian foiled-back topaz necklaces I’ve ever seen, anywhere. Look how perfect the condition is, and how lovely the color! The flowers are centered by pearls and set in gold. 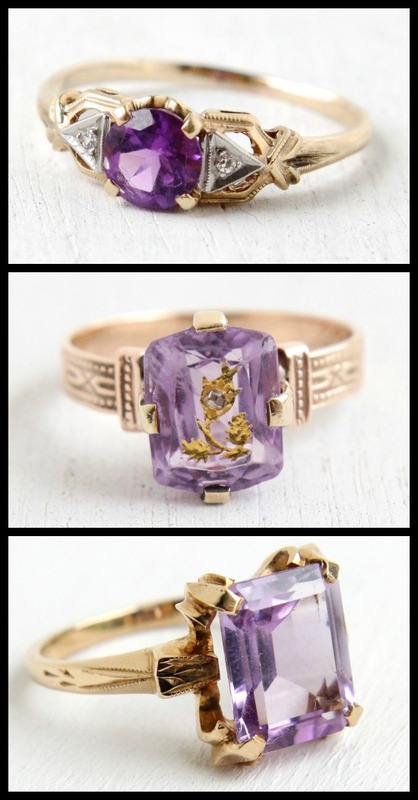 One of the coolest fede rings I’ve ever seen! This antique piece from The Spare Room features a carved central turquoise piece flanked by textured gold and other gemstones. So unusual, and in ridiculously good condition. This magnificent thing from Terry Lucy jewelry is a late Victorian silver-topped gold necklace with rose cut diamonds and 80 carats (!!!) 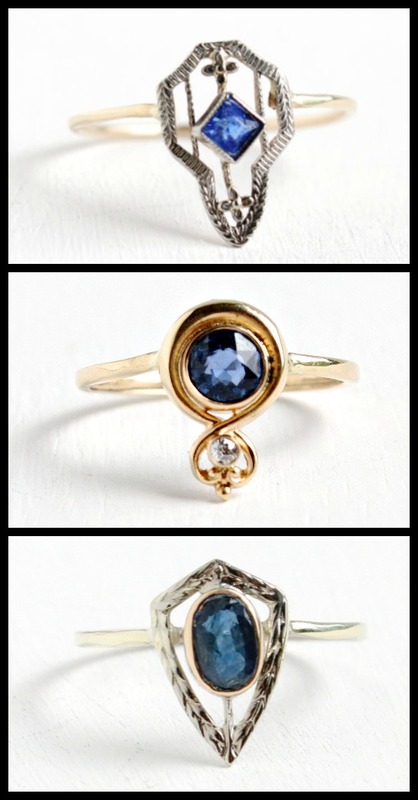 of no-heat Ceylon sapphires. It is glorious and it has matching earrings. I wore this around the show for a while. I was doing some Etsy browsing the other day (as one does) and I found a bumper crop of really lovely camphor glass pieces. You know how much I love camphor glass. These beauties range in price up above $1,300, but quite a few of them are below $200: so don’t be afraid to click through if you see something you love. This piece with the colorful bird is one of the most beautiful camphor glass pieces I’ve ever seen – I’ve never seen anything like it anywhere else. The tiny, significant addition of the colorful bird brings the whispering elegance of the camphor glass and filigree to a whole new level. This piece, I’m sad to say, is what sets the top end of the price range. I love the tiny filigree details on this camphor glass necklace: all those narrow, rectangular elements are so compelling, and the piece as a whole is such a lovely long shape. Gold filigree! My personal camphor glass collection is entirely lacking in gold filigree – it’s more unusual than the white. I think this piece is beautiful. 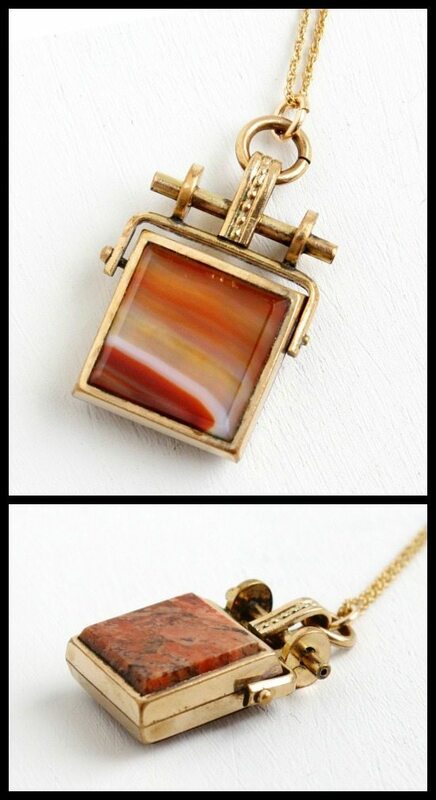 Speaking of camphor glass with a twist: how great is the onyx detail on this pendant? I love that chain, too, with the filigree links and pearls. Find it here. A pretty camphor glass ring, or THE PRETTIEST camphor glass ring? With that lovely filigree and tri-color yellow/rose gold floral details, I think it’s making a strong case for the latter. This unusual beauty is by the notable Ostby Barton. I didn’t realize camphor glass could be black, but that’s what the listing says this is and from the detail photos, I’m inclined to believe it. It’s such a striking juxtaposition of colors, with the light tendrils of filigree snaking across the glossy dark surface. I also adore the baguette shaped rhinestone detail above the pendant bail – deliciously geometric is that Art Deco way I love so much. This brooch is like a lesson in the Art Deco aesthetic, with its close, precise lines of the filigree stripes juxtaposed with the delicate floral elements and the wide, clean expanse of the camphor glass punctuated by the hexagonally-set diamond with its flanked sapphires. Delectable. This necklace is actually rock crystal: the more expensive material that camphor glass was intended to mimic. I think it’s exquisite; uncomplicated and delicate, with whispers of filigree. What do you think of the selection, my dears? Will any of you be adding a camphor glass piece to your collection after perusing this tempting buffet? If that’s not enough, here are some more (all under $200): pretty with flowers, small and rectangular, small with a star, oval with filigree on chain, larger oval with filigree, very cool with silhouette, simple oval, cute chunky rectangle, pointy ends, and oval with chrysoprase. These get a list because their photos aren’t blogworthy, but they still look like good options. All images and info in this post are thanks to the individual seller of each item. Please click through source links for details. Friday flashback: Camphor glass jewelry. Today I’m doing a flashback to my post all about camphor glass jewelry. I’m rather fond of that post (who doesn’t love camphor glass? ), enough so that I recently submitted it to Ageless Heirlooms, where it re-ran as a guest post. Seeing that post on Lauren’s blog got me thinking about camphor glass again and how much I adore it, so I thought I’d round up some more for you. Revisit the original post if you’d like some camphor glass background info. By the way, quite a few of these lovelies are under $100. Antique Art Deco camphor glass necklace with silver, gold, and rose gold-tone filigree. Such lovely floral detail and amazing filigree! Vintage white gold and camphor glass ring from the 1960’s. 1930’s rhinestone and filigree necklace with camphor glass. 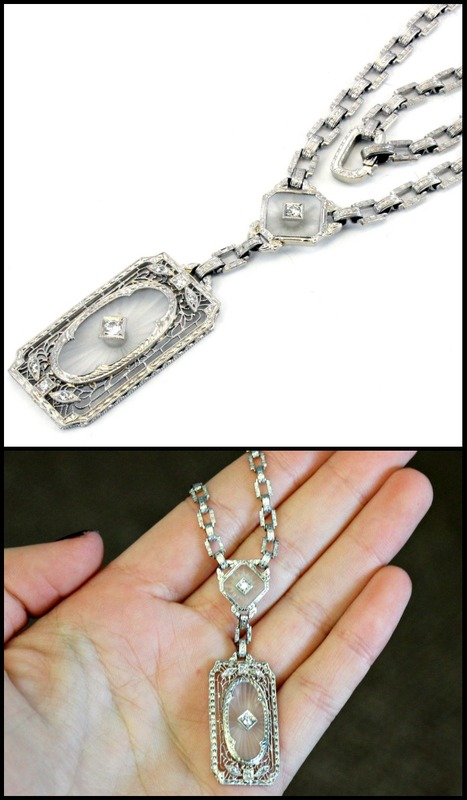 Edwardian starburst-cut camphor glass, diamond, and white gold filigree necklace. This spectacular Art Deco beauty is for sale by Ageless Heirlooms; you may recognize it from its appearance in my guest post. Want some more? Take a look at this, this, this, this, this, this, or this. These camphor glass pretties don’t all come from the same place, so please see individual descriptions for source links. All images and info are thanks to the original poster of each item. Camphor glass jewelry is a particular favorite of mine. It’s unusual and elegant. I almost never go a whole day wearing one of my camphor glass necklaces with somebody asking me about it. 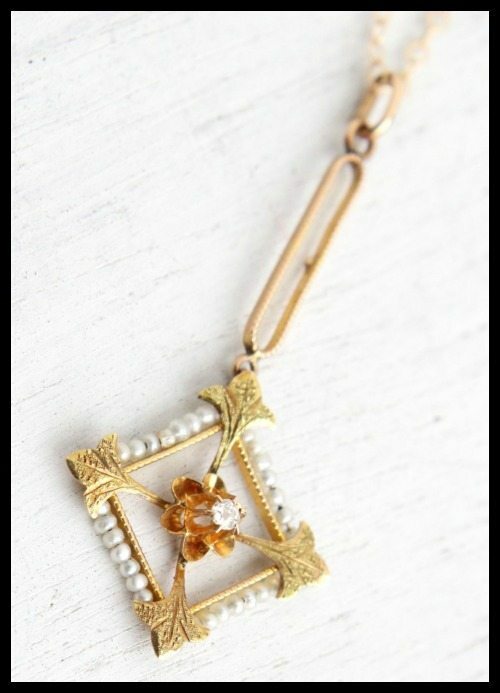 Art Deco 14K Gold, Diamond Camphor Glass Pendant Necklace. The best part about camphor glass jewelry is that it’s not too hard to find affordable(ish) pieces. Prices vary depending on the materials involved, the quality and complexity of the piece, and the presence or absence of gemstone embellishments. I’ve fallen head over heels for camphor glass pendants around $80 (at the fabulous Legendary Beast). 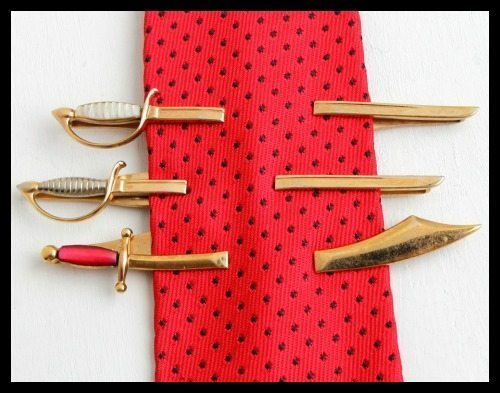 Ebay and Etsy are also good places to look for these more affordable pieces. I’ve collected a number of samples to show you, at varying price points. As with any online shopping, please don’t forget to make sure that the pretties you’re admiring are the right size before you pull the trigger. My jewelry sizing cheat sheet can help. 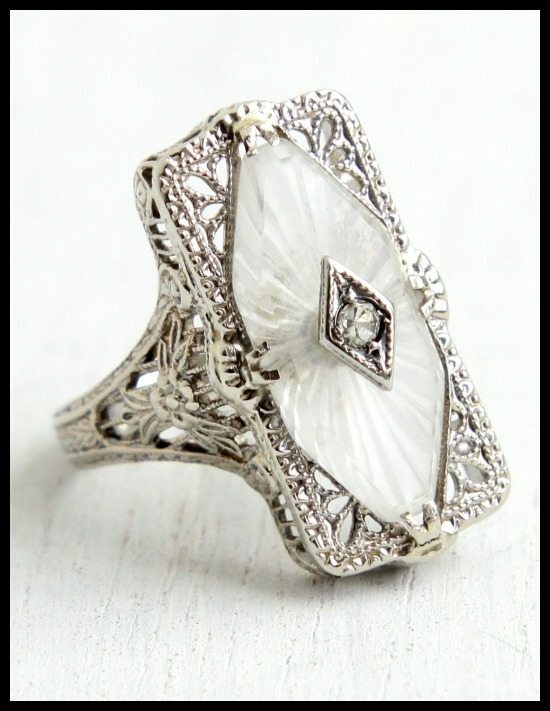 Vintage Antique Art Deco Fine 14k White Gold Filigree Camphor Glass Diamond Ring. Vintage Diamond Camphor Glass Pendant in 14K White Gold with Original 16 inch chain. Stunning Platinum/14K White Gold Diamond Camphor Bracelet with Black Coral. Art Deco camphor glass and diamond pendant on 22 inch chain, circa 1930’s. 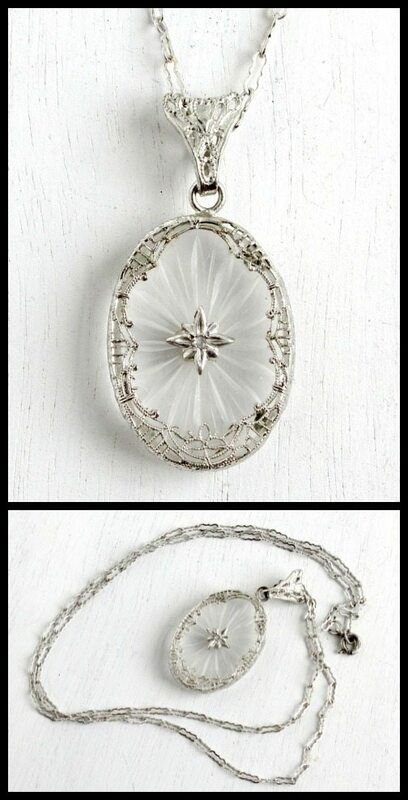 Sun ray camphor glass pendant/necklace with diamond filigree for sale on Ebay ($165). All images and info in this post are thanks to the seller of each individual item. 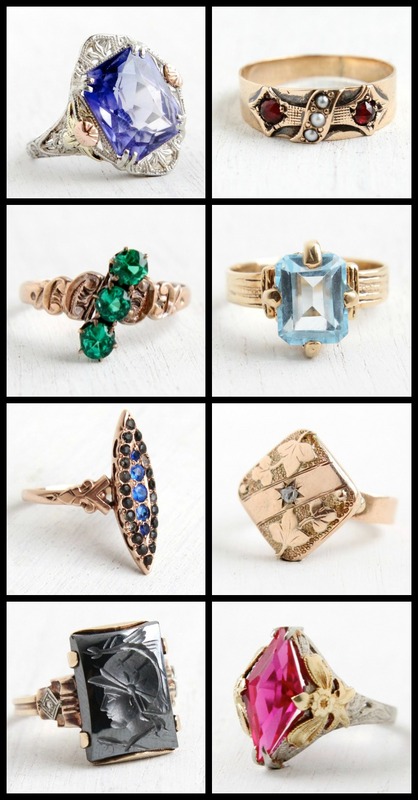 Special thanks to The More the Merrier: Vintage Jewelry, Adore, and Style and Grace for sharing their images.